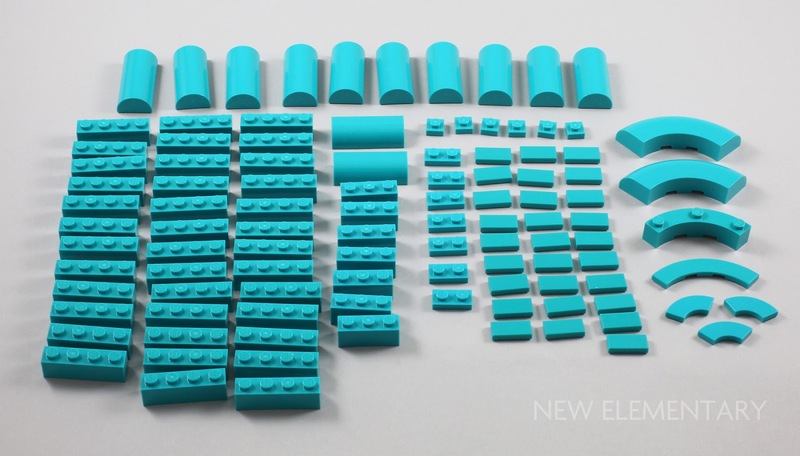 In total, 105 Teal pieces are supplied with the set, spread across 11 different elements. Bringing back a retired colour or changing a colour can be fraught with difficulties. I won’t linger too long on the Old and New Grey debacle in 2004 when some half-finished MOCs could no longer be completed in the yellow-tinged greys of old when the newer blue-tinged greys arrived. Dark Red to New Dark Red was another casualty of colour change. 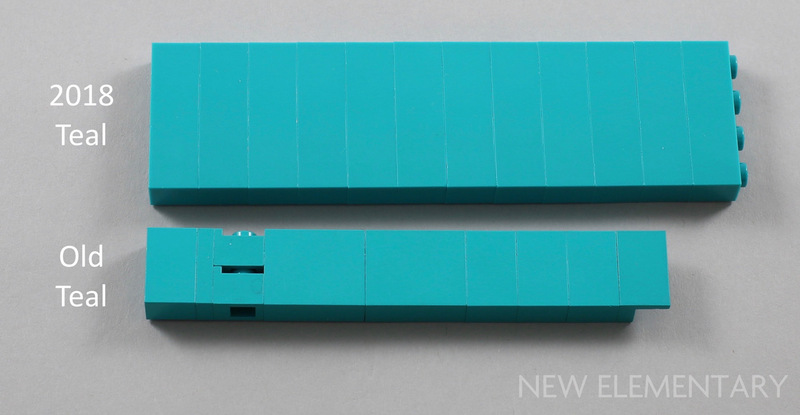 Upon comparing Teal bricks produced pre-2006 with 2018, I was both impressed and happy to see that apart from my bricks looking a little older, there was NO DIFFERENCE in colour. 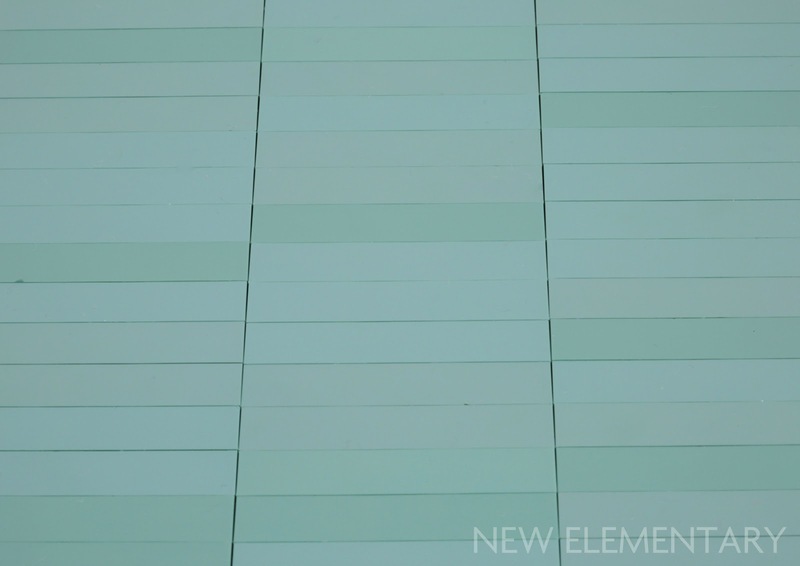 The most numerous element is Brick 1x4 (Element ID 6217660|Design ID 3010) with 38 supplied. 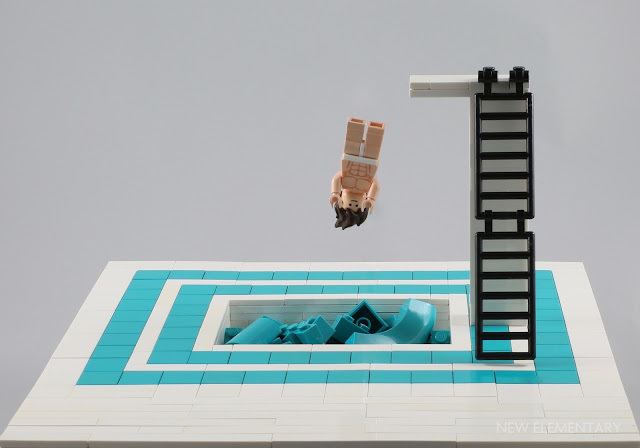 In addition there are seven Brick 1x3 (Element ID 6186831|Design ID 3622). 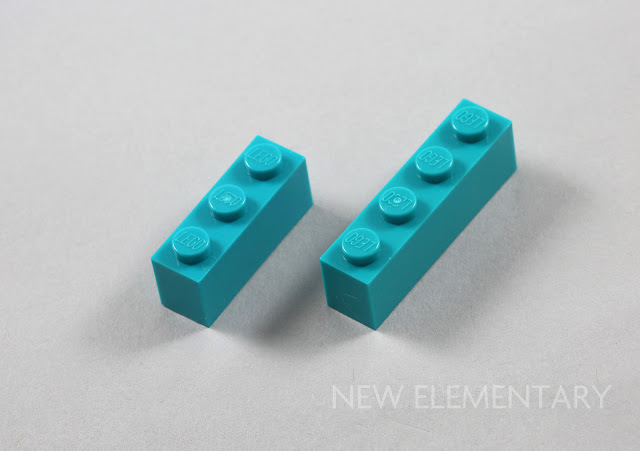 Neither of these elements were produced in Teal when it was previously present in the LEGO colour palette. 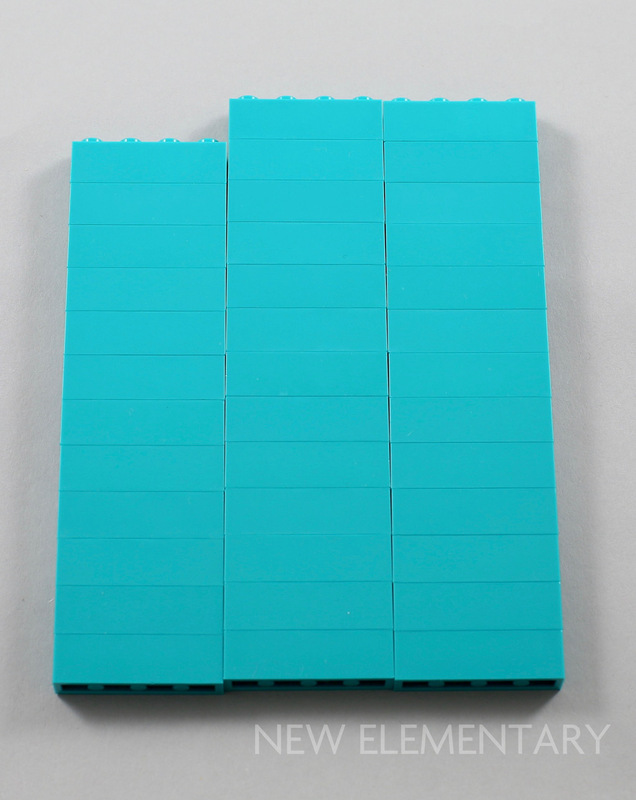 Indeed, it was also good to see uniformity of the Teal colour when the 38 1x4 bricks were stacked together. Although some of the lighter LEGO colours are more prone to a lack of uniformity (I’m looking at you, Sand Green), there is something aesthetically pleasing about stacks of Teal all matching in tone. Moving on to the plates and tiles now, all of which appeared in sets before Teal’s untimely demise. 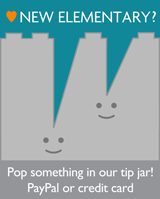 There are seven Plate 1x2 (Element ID 6213777|Design ID 3023) in Downtown Diner. Previously this element was in four sets but only in small amount. In fact, the most in one set was the four supplied with 4990 Rock Raiders HQ from 1999 so it was not a particularly common element back then. There are 28 Flat Tile 1x2 (Element ID 6213779|Design ID 3069) which is great as the only previous set with this element was a Belville set, 5842 Vanilla's Frosty Sleighride from 2002. I had six Plate 1x1 (Element ID 6213778|Design ID 3024) as one spare was supplied. This is not a common part as only two of these appeared in 4970 Chrome Crusher back in 1999. Curves play an important part in 1950s Art-Deco architecture, and this means that we can enjoy a few extra round or curved parts in Teal. 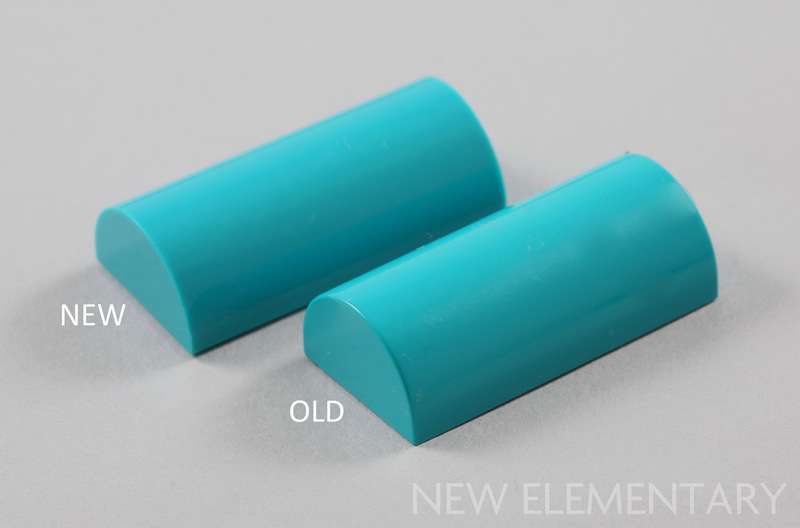 All four of the curvy 'macaroni' elements above are new to Teal, in fact those without studs are all new elements anyway, introduced from 2016 at the earliest. There are two 1/4 Arch Brick 5X5 W/Cut Out (Element ID 6213792 | Design ID 24599). 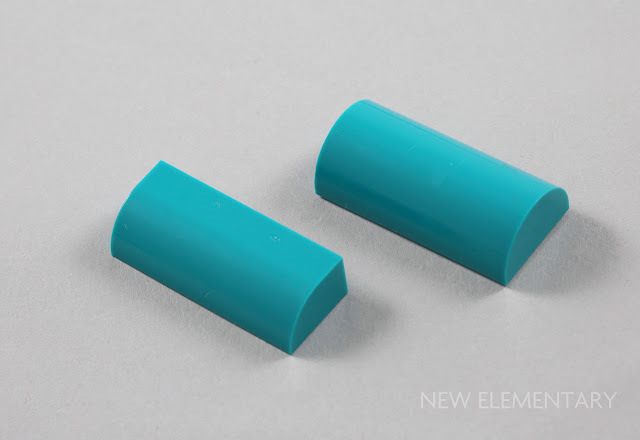 Only one Bow 1/4 4X4X1 (Element ID 6213786 | Design ID 48092) is supplied. There is only one Tile 4X4, W/ Bow (Element ID 6213795 | Design ID 27507) and three Tile 2X2, W/ Bow (Element ID 6213876 | Design ID 27925). 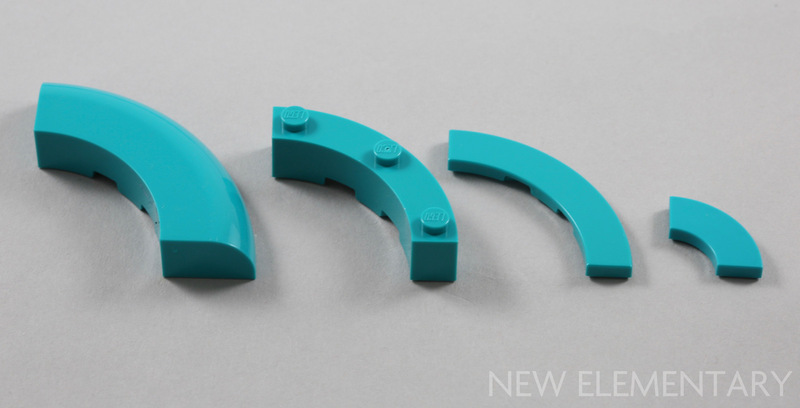 Finally we have the curved bricks, there are two Brick 1X4X1 1/3 Curve (Element ID 6217667 | Design ID 6191) which appears in Teal for the first time. There are also 10 Bowed Roof Ridge 2X4X1 (Element ID 6213790 | Design ID 6192) which previously appeared in Bionicle set 8549 Tarakava from 2001. I have a Bowed Roof Ridge 2X4X1 from 2001 in new condition in my possession and it really is impossible to tell which dates from 2001 and which from 2018 when placed beside each other. 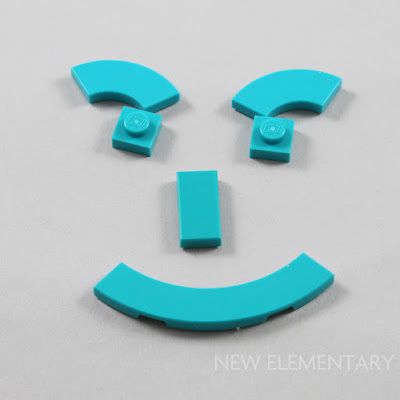 I hope you have enjoyed this Teal-icious appetiser; next time we’ll take a closer look at all the other new elements in LEGO Creator Expert 10260 Downtown Diner. 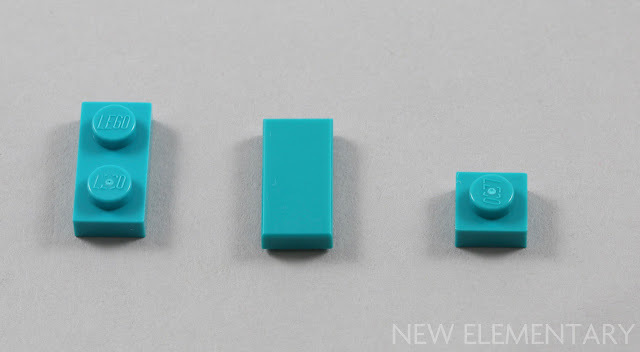 I am very happy to see the return of this beautiful colour and look forward to seeing more Zombie Teal elements appear in sets. READ MORE: Carry on to part 2 of Elspeth's review - other colours of new parts! A part of me wants to try to use 24599 in teal for some large mushrooms in the Elves theme, like the smaller mushrooms using printed 4x4 radar dishes in teal. Unfortunately, as a sparsely used color back in the day and one that hasn't yet had the chance to appear in too many new parts just yet, there's not really many teal parts I could use to close up the top of the mushroom (let alone make a stalk in Cool Yellow, a rare color itself). So if I want to try to do something like that, I might have to settle for some sort of shelf fungus on a larger structure.